Its retail bank, Chase, spans 61 million American households. Led by Chairman and CEO Jamie Dimon, the bank is undergoing a transformation, moving away from offline legacy systems and into the digital age. Over the past two years, the bank has spent nearly $20B to scale its technology and prepare itself for the next generation of banking. 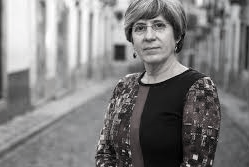 From July 1st, Professor Manuela Veloso, World renowned AI expert joined the bank to build on existing capabilities as its Head of Artificial Intelligence. In this newly created position, Veloso is establishing an AI research capability at J.P. Morgan - where the company has already started to apply Machine Learning technology across its businesses. Professor Veloso will lead efforts to identify additional opportunities for AI and design solutions that could transform financial services. We're super excited to hear from Manuela and her plans to disrupt this industry at World Summit AI!